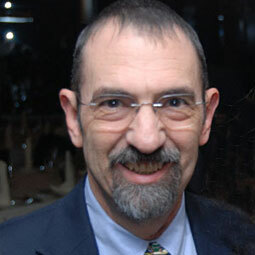 Dr. Jon Siegel, OMG's Vice President, Technology Transfer, will present the tutorial "Introduction to OMG Specifications." OMG is the source of the computing industry's modeling specifications; our MetaObject Facility (MOF™) and XML Metadata Interchange (XMI®) establish the foundation needed to integrate modeling with the downstream development steps - coding, deployment, and maintenance. Following an explanation of how these foundation specifications bridge the gap from modeling to implementation, the tutorial covers UML® basics - class diagrams, components, and several key behavioral diagrams, plus advances in UML 2.0. This foundation enables the Model Driven Architecture® (MDA®), presented in the next segment. The final portion of the tutorial surveys CORBA® middleware, the Object Management Architecture, and OMG standards work in the vertical domains.